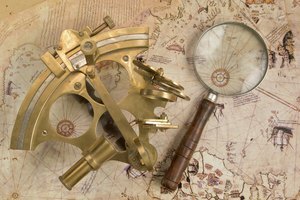 Keep students engaged with these tips for teaching about Magellan. As captain of one of the first fleet of ships to travel around the world, Ferdinand Magellan's goal was to find a travel route westward from Spain to the Spice Islands. Magellan changed the course of history and human civilization through his voyages. Introduce facts about Magellan's voyages to your students and they'll be more likely to keep engaged in the lesson and remember the importance of Magellan in the future. Ferdinand Magellan was born in Portugal in 1452 and served as a page in the royal court. At 25 years of age, Magellan joined a fleet of ships and eventually worked his way up to becoming commander of his own fleet. 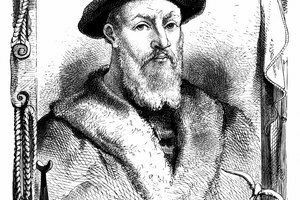 Magellan married his first wife, Isabella, in 1469. In 1504, Isabella died, and in 1505, he married his second wife, Beatriz, with whom he had a son named Rodrigo. Before his own trip, he participated in several sea voyages to places such as India and Africa. 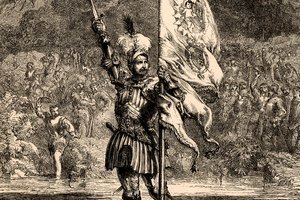 Ferdinand was wounded in several battles while on these trips, and was injured badly enough in one battle, which took place in Morocco, that he walked with a limp for the rest of his life, according to History.com. 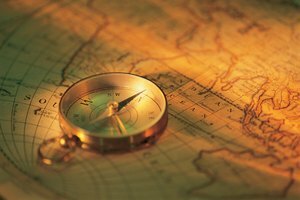 Though Magellan held a leadership role, what he really wanted was to explore the world and find uncharted land. The king of Spain agreed to pay for Magellan's explorations and gave him five ships to take on his voyage to find a path to the Spice Islands. Spices, such as cloves and nutmeg, were one motivation for his journey because they were prized during this time in history. They were very expensive and were used as medicine and to flavor foods, though only the wealthy could afford to buy them. 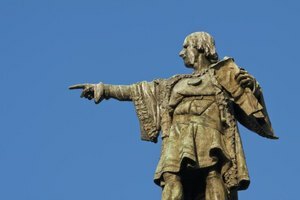 Magellan knew the country that claimed the Spice Islands as their own would be rich and powerful, notes Katharine Bailey, author of "Ferdinand Magellan: Circumnavigating the World." Unfortunately, Magellan never made it to the Spice Islands. Magellan is credited with discovering places never before included on maps. For example, the Magellan Strait is named after the explorer. Magellan discovered the strait on October 21, 1520, only after enduring a mutiny from his fleet and the shipwreck of one of his ships, the "Santiago." 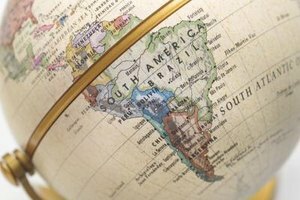 Magellan is also credited for naming the Pacific Ocean "Mar Pacifico," which means peaceful sea in Portuguese, according to History.com. From this journey, only 18 of the original 270 crew members returned, and Magellan was not one of them. Ferdinand Magellan died on April 27, 1521, during a battle when he was struck with a poisoned arrow. Because of Magellan's exploration, more people had access to spices, and he helped chart a course for later discovery of lands previously uncharted. Magellan was also a Christian, and tried to spread Christianity to people he met on his journeys. Technically, Magellan wasn't the first person to circumnavigate the globe because his travels didn't take him back to where he started. Instead, he did travel the globe, but on two different occasions and in two different directions, according to History.com. Ferdinand's slave, Enrique, however, did make the journey back and is actually the first person to travel around the world. Ipatenco, Sara. "Facts About Ferdinand Magellan for Kids." Synonym, https://classroom.synonym.com/ferdinand-magellan-kids-8580437.html. Accessed 24 April 2019.